Many times, we need to check instantly whether a record already exists in the database or not. For example, at the time of signup, we need to check if the user is already registered with current Email id, or the username is already taken. So, to achieve these functionalities, there are many methods, but in ASP.NET MVC, there is a very easy way to achieve these types of functionalities, i.e. with the help of remote attributes. 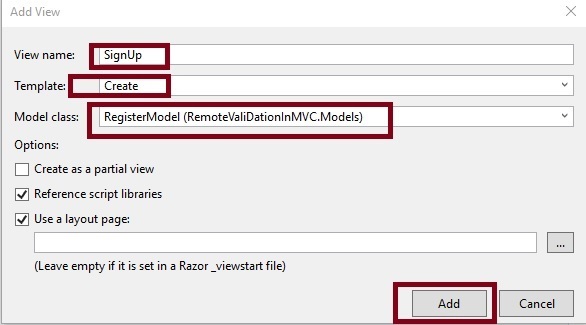 Let's learn step by step how to check user instantly, using remote attribute in ASP.NET MVC. What is Remote Validation in ASP.NET MVC ? Remote is the attribute for validation in Data Annotation, which is used in model class to validate records instantly. Let's demonstrate the aforementioned concept by creating sample ASP.NET MVC application. 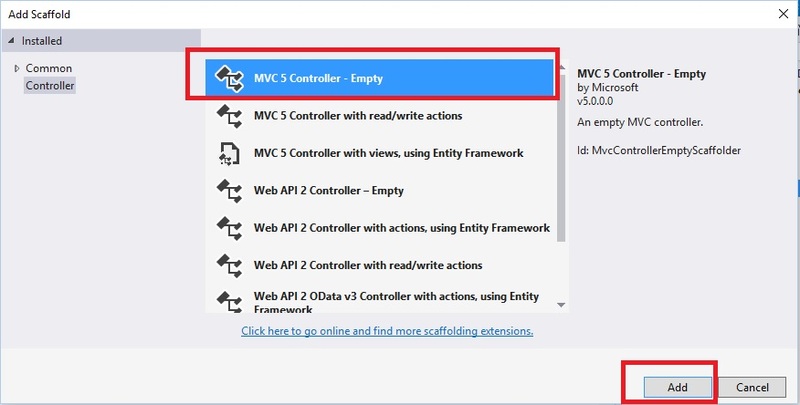 Now, let us start with a step-by-step approach from the creation of a simple MVC application. Go to "Start", followed by "All Programs" and select "Microsoft Visual Studio 2015". Click "File", followed by "New" and click "Project". 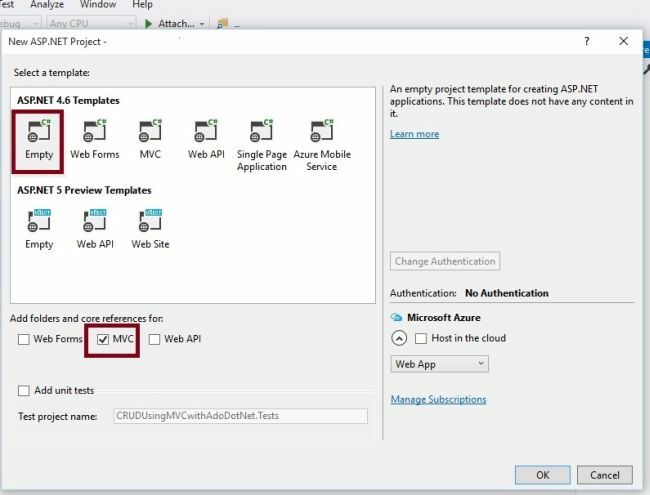 Select "ASP.NET Web Application Template", provide the Project a name of your choice and click OK.
After clicking, the following window will appear. After creating the class, write the following properties in RegisterModel.cs class. In the preceding code, we have used Remote attribute for UserEmaiId model class method with some properties which are explained below. In the above image, we have defined a few properties of Remote attribute to work on remote validation properly, let's know them in brief. This is the JsonResult method which checks the details from database and returns true or false. This is MVC Controller name and inside that, IsAlreadySigned JsonResult method is defined to check the details from database. This is HttpMethod type which is called on Remote attribute e.g. Get , Put , Post. This is optional to define. This is used to show the message at client side. There are many optional properties of Remote attribute which are used as per the validation requirements. Now, let us add the MVC 5 Controller, as in the following screenshot. After clicking on Add button, it will show the window. Specify the Controller name as Register with suffix Controller. Now, modify the default code in RegisterController.cs class file and create JsonResult method. After modifying, the code will look like as follows. In the preceding code, IsAlreadySigned returns the JSON data at client side and it takes the UserEmailId as input parameter, the name of which, must match with the get set property defined under the remote attribute. Now, let's create StronglyTyped View named SignUp from RegisterModel class. Click on Add button. It will create the View named SignUp. Now, open the SignUp.cshtml View. You will see some default code which is generated by MVC scaffolding template. Let's now, modify the default code to make as per our requirement. After adding the Model, add View and Controller into our project, the Solution Explorer will look like the following. Now, run the application and type emaild id which is already in the list that we defined in the RegisterController class. Now, without posting the form, it's showing instantly that the given email id already exists in the database, This approach will save a lot of time for the user in unnecessary validation. Since this is a demo, it might not be using proper standards. So, improve it as per your own skills. I hope this article is useful for all readers. If you have any suggestions, please contact me.